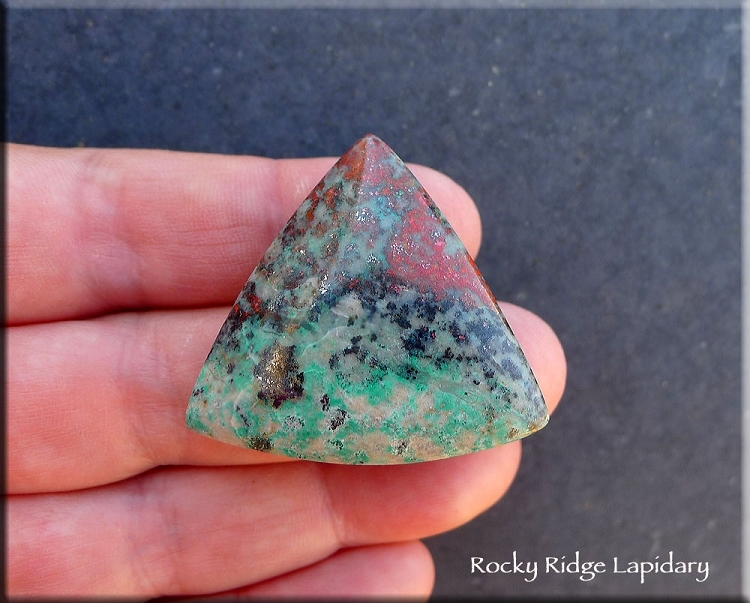 Trillion Sonoran Sunset Cabochon - Also called Sonoran Sunrise, this gorgeous natural gemstone material is a mixture of Cuprite (Crimson red copper oxide), Chrysocolla (Turquoise green-blue copper silicate) and Tenorite (black metallic) minerals. 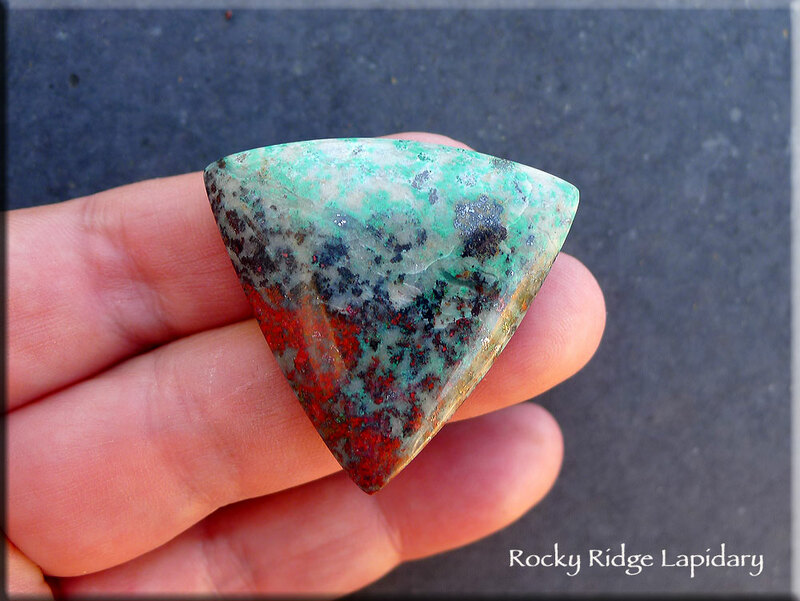 This Cabochon made of material from the Millpillas Mine in Sonora, Mexico. 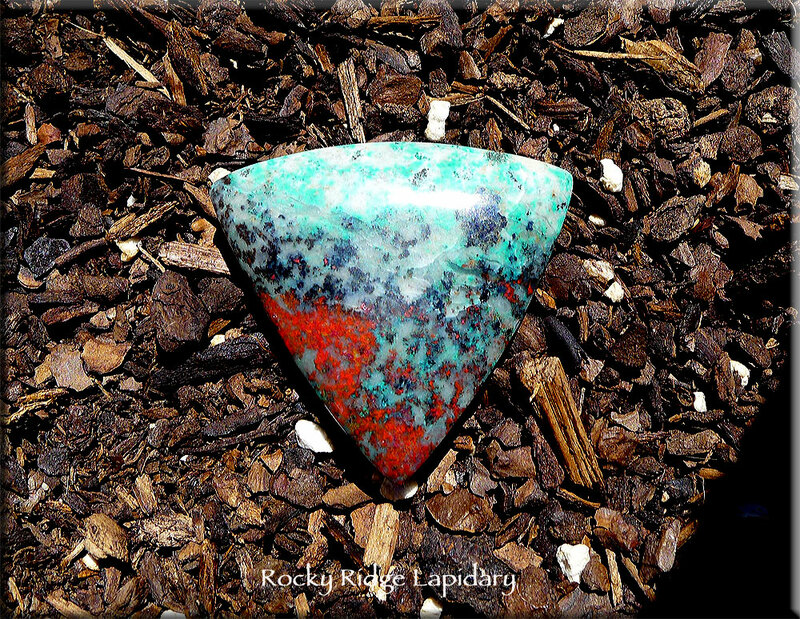 It's a Luscious natural-color gemstone like the Sunsets we see here in the Sonoran Desert!!! This gemstone cab was cut & polished by me in my Benson, Arizona lapidary & jewelry making studio. 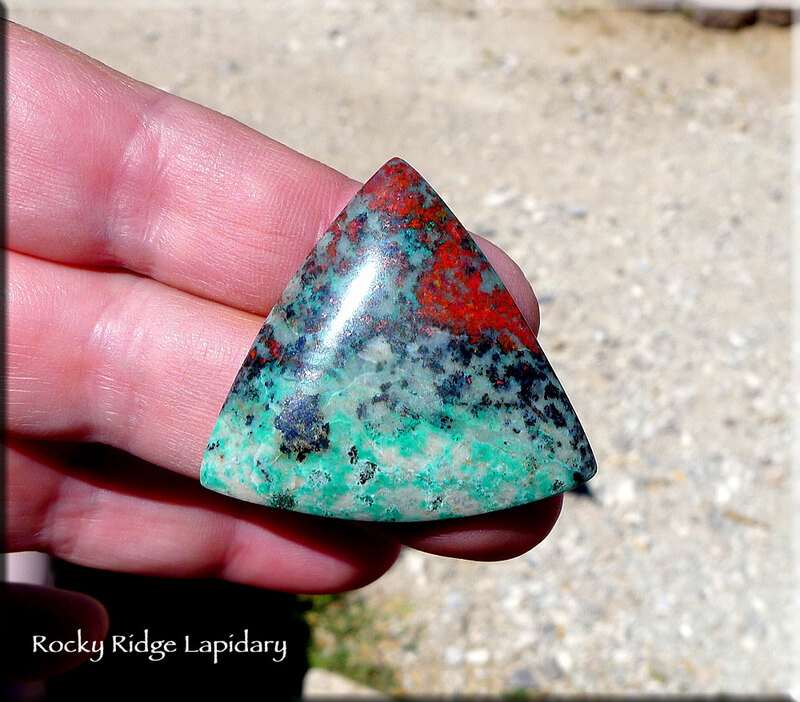 Rocky Ridge Lapidary by Michelle of SilverEnchantments.com designer cabochons are always handmade and diamond polished to the highest shine the stone will allow. The backside of our cabochons are considered matte semi-finished, and will generally have a slight edge bevel to reduce the chance of chipping should you wish to bezel-set. There are exactly 25.4mm to an inch.